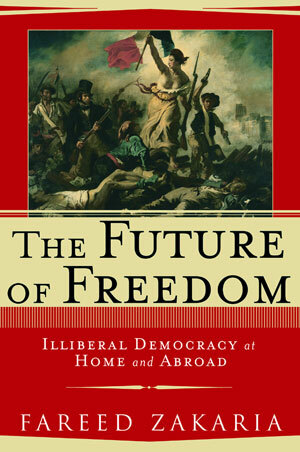 A modern classic that uses historical analysis to shed light on the present, The Future of Freedom is, as the Chicago Tribune put it, "essential reading for anyone worried about the promotion and preservation of liberty." Hailed by the New York Times as "brave and ambitious...updated Tocqueville," it enjoyed extended stays on the New York Times, Wall Street Journal, and Washington Post bestseller lists and has been translated into eighteen languages. Prescient in laying out the distinction between democracy and liberty, the book now contains a new afterword on the United States's occupation of Iraq. 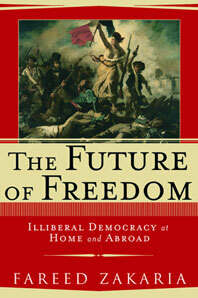 "Intensely provocative and valuable," according to BusinessWeek, with an easy command of history, philosophy, and current affairs, The Future of Freedom calls for a restoration of the balance between liberty and democracy and shows how politics and government can be made effective and relevant for our time.